Mary E. McElroy, 84 of Richwood, died peacefully Friday evening December 14, 2018 at the Wexner Medical Center at O.S.U. 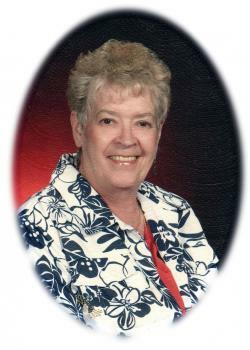 Mary was a 1952 graduate of the Richwood High School, she had worked in the insurance industry throughout her working career. She also had worked at the Richwood Civic Center. She loved volunteering at the Memorial Hospital in Marysville. Mary was a member of the Rush Creek (Essex) United Methodist Church. She enjoyed crocheting and sewing. Mary collected Precious Moments figurines over the years. Memorial Services will be held Saturday December 29, 2018 at 11:00 am at the Stofcheck-Ballinger Funeral Home in Richwood, Pastor Josh Freshour will officiate, burial will follow in the Price Cemetery, friends may call Friday December 28, 2018 from 5-7 pm at the funeral home in Richwood. I am saddened at your loss and I share in your grieving. I also rejoice with you that Mary is now with her Lord. I will be praying that God will surround each of you with His tender mercy and grace. Scott and all family and friends. We extend our sympathy over the loss of your Mom. You are in our thoughts and prayers. So sorry to hear of Mary's passing. Your family has my sympathy. With our sincere sympathy for your loss. Sorry to hear of Mary’s passing. She is know in Gods’s loving hands. Prayers and God bless the family. May there be some comfort in knowing the pain and suffering are over. Rest in peace. So sorry to hear of your loss. she was a very special lady. You both were great neighbors and loved by Dad & Mom. Lost too many recently who lived in our neighborhood, Florence Borland, Brenda Gibson, Mom, now Mary. Rest In Peace Mary - Merle, you take care! I was so sad to hear about Mary's death. I remember how nice she was to me when her daughter Diane and I were in school together. My thoughts are with Merle and Scott and their families. R.I.P. Aunt Mary. So sorry to learn of your passing. Mary was such a beautiful person. She was always a pleasure to be with. She will be so missed. I have thought of her often since we moved. Our prayers are with you. So sorry for you loss. You all will be in my thoughts and prayers. We are sorry for yor loss. Please forgive our absence at the calling hours. We have some health issues we are dealing with at this time. Take care. Scott, I just saw this tonight. I am soo sorry for your loss. My heart goes out to you and your families! Soo sorry !!! My prayers are with you.